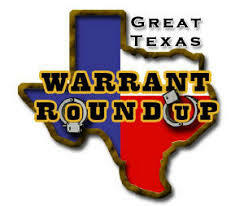 La Feria, TX, Beginning Saturday, February 23, 2019 the La Feria Police Department will join more than 300 law enforcement agencies across Texas for a Statewide Warrant Roundup to collect debt owed on outstanding warrants. The City of La Feria advises anyone with outstanding citations to take care of your tickets now to avoid arrest. Anyone voluntarily appearing in the Municipal Court to take care of tickets will NOT be arrested. If individuals are experiencing hardship and unable to pay, contact the municipal court to discuss options that may be available.